Lucy Ferriss eloquently offers a chilling variation of the small town…. Stick is worth listening to, not because she can fit her experience into some overarching construct, but because she cannot. And because she moves ahead anyway, confused and valiant. I wrote Against Gravity over the course of a decade in which I became a parent and our country moved out of the Reagan era. I found myself recalling Reagan’s classic line, “They loosed the surly bonds of earth to touch the face of God.” It seemed to me that our dreams negotiate between those fantastic hopes and the reality of plummeting back to earth. The book’s narrator witnesses the Challenger explosion on a school trip and returns home to find that her best friend is pregnant and wants her to midwife the birth in secret. 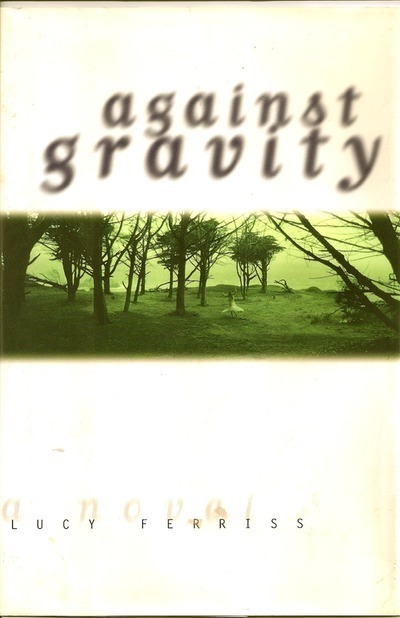 Against Gravity is a coming-of-age book that moves to celebrate life in the face of death.